Hands up, who wants to go on a surfing holiday? 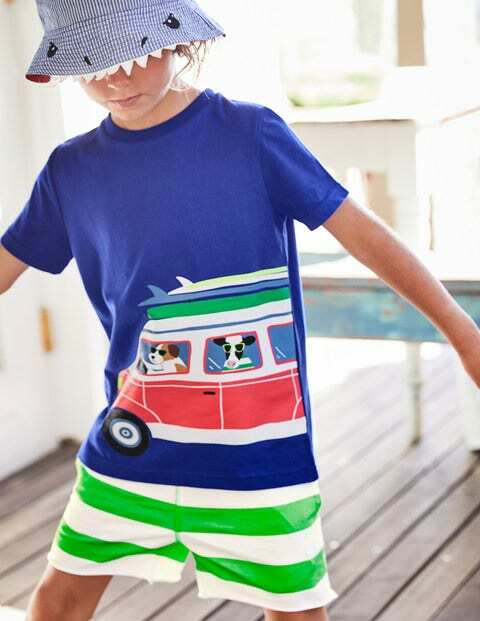 Our oh-so-summery cotton T-shirts are the next best thing, complete with colourful camper-van prints (with animal friends along for the ride). The slouchy fit stays cool when the weather heats up, making them the perfect choice for sunny beach days. Time for a road trip.